There will be a small one-time fee of $5.00 to join, plus the price of the book and supplies. Then come as often as you like. 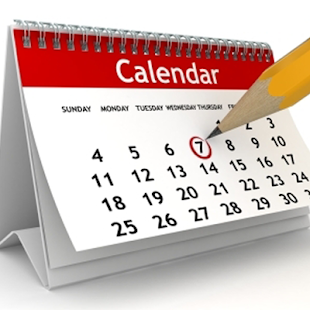 We will be meeting on the first Monday of each month. Have you ever wondered how lace is made? 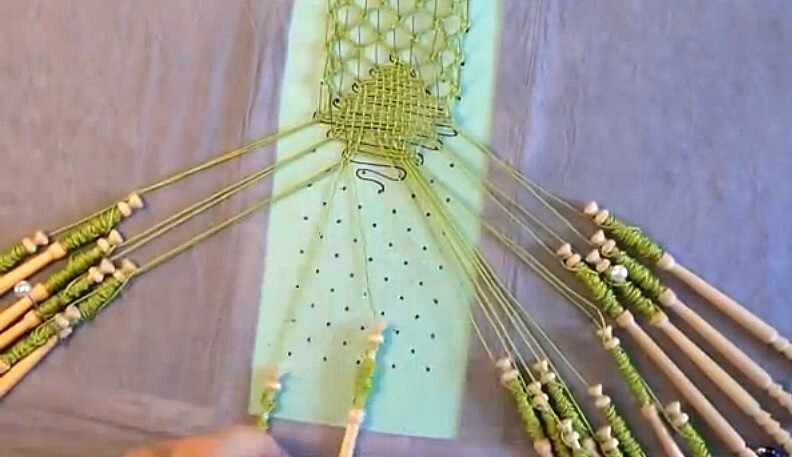 Come learn how to make bobbin lace, as well as other lace-making techniques. We usually meet the second Tuesday of the month. 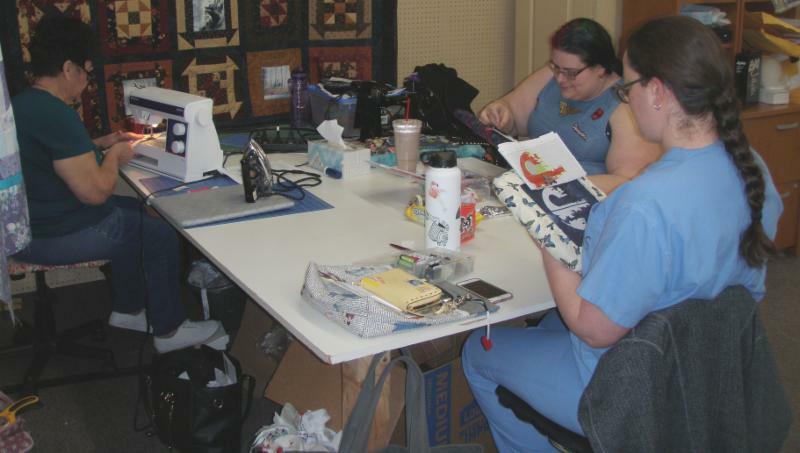 Quilt Till You Wilt, Stitch Till You Ditch is normally the third Friday of the month, but this month we have moved it up a week to the second Friday, December 14. We will stay until the last person wants to go home. You are welcome to bring food to share, too. 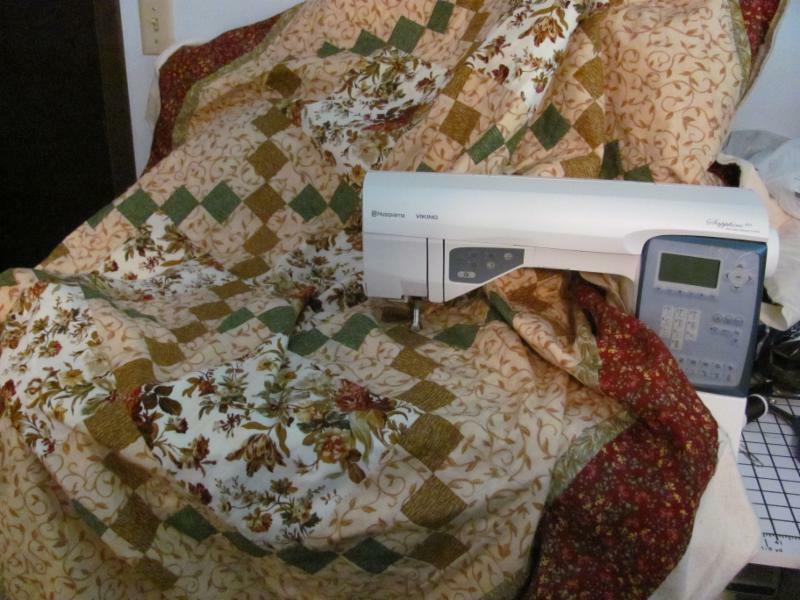 Learn how to quilt the “sandwich” on your own home machine. 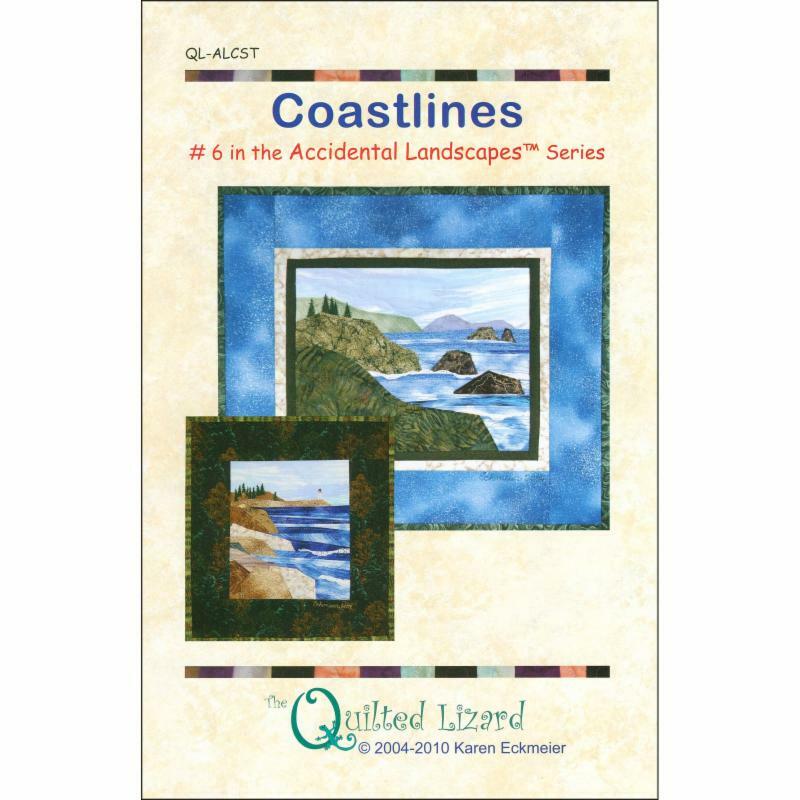 Covers different methods for marking and prepping the quilt top, making the “sandwich” and stitching. Cost is $60.00 + supplies. Learn the basic of making landscape quilt while making this beautiful yet simple wall hanging. Or make several to sew together into a beautiful quilt. This year's Sat Sampler is coming to an end. 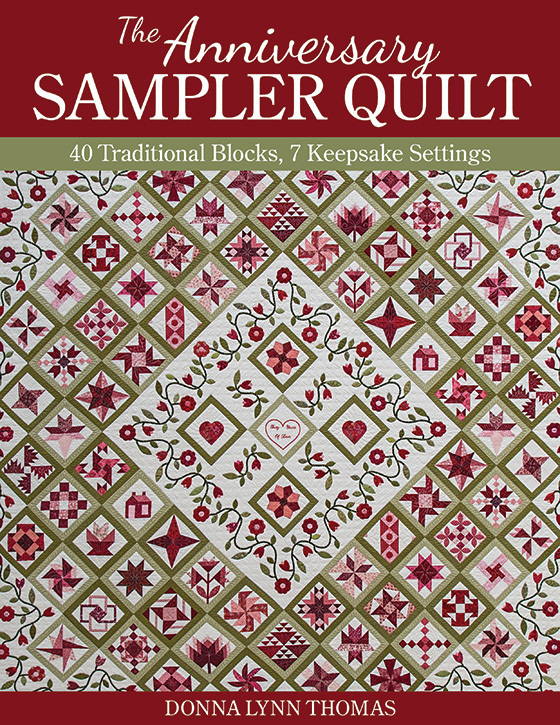 Don't forget, you can bring in your completed quilt tops starting right after the January session. Customer voting will start as soon as there are at least 2 in the shop. The sooner your bring them in, the more votes you can potentially get. Voting will be open through the Feb session (first session of the 2019 Saturday Sampler) to allow all those attendees to vote. 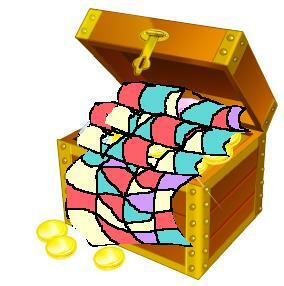 I will count the votes right after that session and announce the winner on the shop Facebook page immediately. Quilts don't need to be complete, just the tops is fine. The winner of the People's Choice award will win a $50 Gift Certificate. If you have brought in any Show and Tell items during the 2018 Saturday Sampler, you will want to attend the February session, as I will be drawing the raffle winner from all those entries. This winner will also receive a $50 Gift Certificate. Quick little items that are great to have on hand or make up quick for when unexpected gifts are needed. Make any or all as time allows. Patterns available for small scissor holder, crochet hook bag, sewers chatelaine, chicken pin cushion sewing machine needle tracker, and/or an essential oil roller ball wallet. 2019 Saturday Sampler will start February 16! Sign up now for the 2019 Saturday Sampler! Like this year, there will be a $10 sign-up fee, then you will pay $10 for your first block. After that, if you both come to the next session and have completed your block, your next block will be free! Unlike the 2018 Saturday Sampler, we will only be having one session at 11AM on the third Saturday of each month. At this first session, we will be voting on the People’s Choice for the 2018 Saturday Sampler. We will also draw for a $50 gift certificate for each Show and Tell item brought in during the 2018 Saturday Sampler sessions. 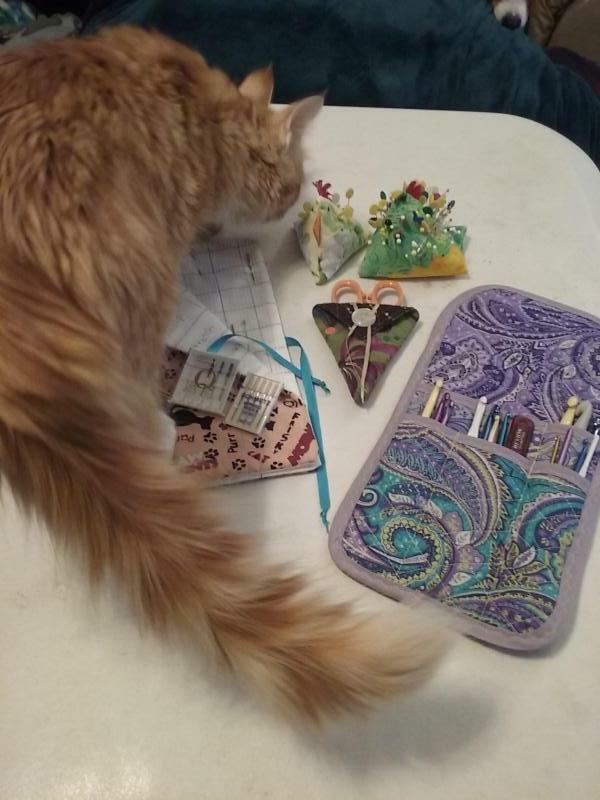 Whiskers n Catnip Block of the Month will start March 9! 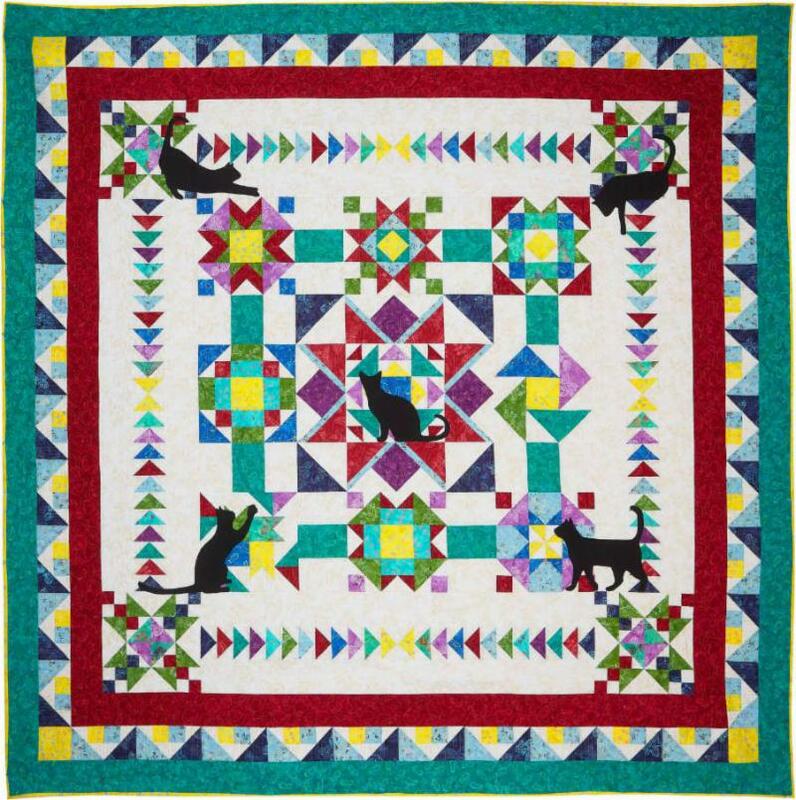 This quilt designed by Deb Heatherly is purrfect for any cat lover. It features 13 gorgeous cat-themed batiks (plus a tonal black for the cat appliqués) from Tonga Batiks, a division of Timeless Treasures. 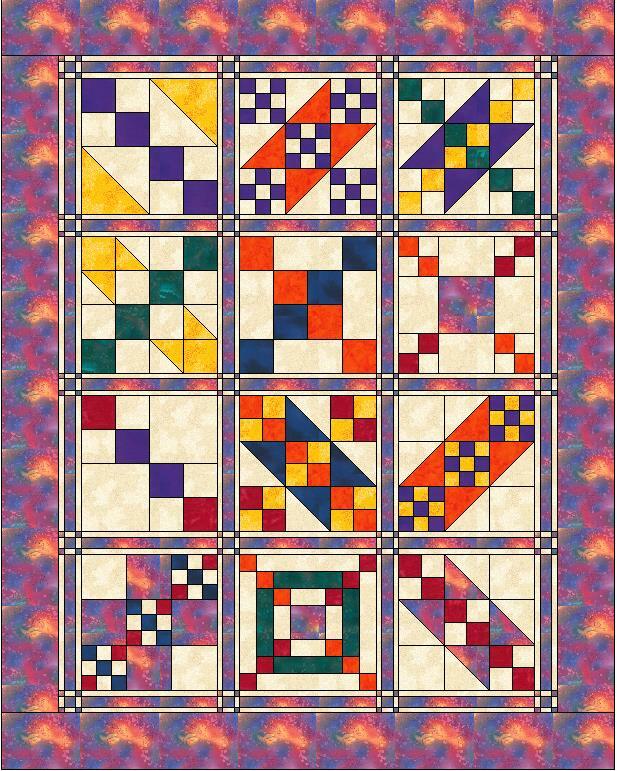 The quilt, as pictured, has a finished measurement of 96" x 96", or you can choose to finish it at the Cranberry border to 80" x 80", and use the outer border blocks to make a lap quilt. There are also two bonus projects included in the program. ﻿The program will begin in March and will run for 12 months. If you are local to the Ontario, Oregon, area, you may choose to come to the working class sessions at 11am, the second Saturday of every month for no extra charge. 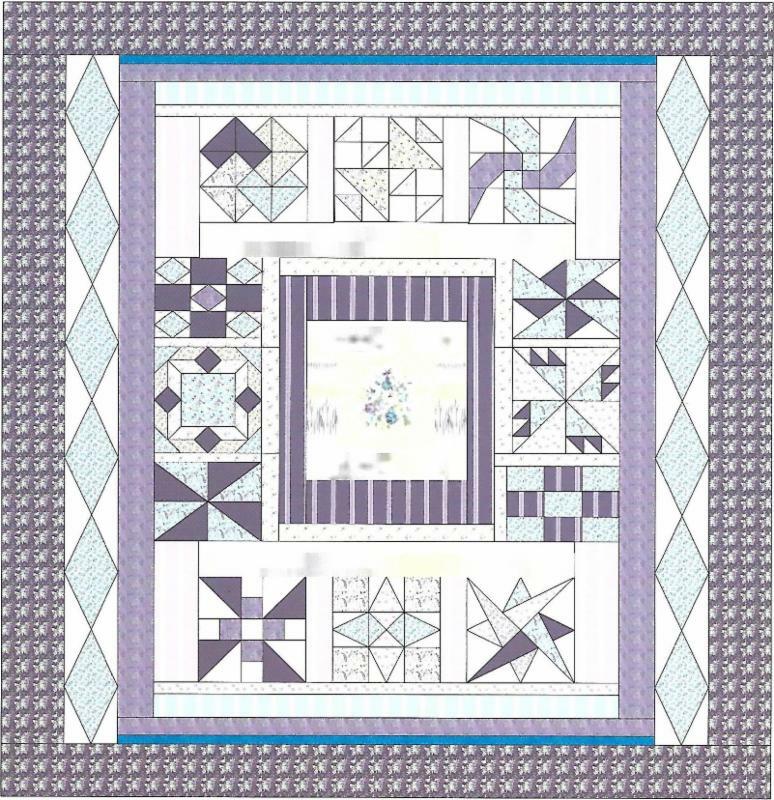 The BOM includes the pattern, the Creative Grids Cat's Cradle Tool, the Creative Grids Ultimate Flying Geese Tool, and all the fabric for your quilt top and binding (a total of 17 1/2 yards of fabric). $9.81 Registration fee then $27.26 plus shipping per month! If you are local and choose to come to the working class sessions, you may pay for and pick up your monthly kits at that time, and save the shipping fee. The theme this year is Blue and White. At each shop, Hoppers will be able to purchase a kit which will contain one blue Fat Eighth, one white Fat Eighth, and a pattern which will call for at least 24 Fat Eighths (12 blue and 12 white). These kits will be priced at $6, $2 of which will be donated to Project Linus. We will be having some limited hours in the second half of February due to Christina having surgery. We will be closed on February 12 and 13, then only open half-days, from 10am-2pm, Tuesdays-Saturdays, February 14-28. We apologize for any inconvenience this may cause.